Amarnath Yatra is annually observed to have darshan of the naturally formed ice Shivling in the Amarnath Cave in Jammu and Kashmir, India. The story of Amarnath Yatra and origin of Amarnath cave is associated with Goddess Parvati wanting to know about eternal life (Amar or Amaratv). Once there happened a conversation between Shiva and Goddess Parvati on eternal life. Goddess Parvati wanted to know why Shiva was the only one who was immortal and all other beings were mortal. Shiva then told her that only He knows about the secret of creation and immortality. Goddess Parvati insisted that she also want to know the secret of immortality. Shiva avoided her for several years. But Goddess Parvati was adamant and finally, Shiva agreed to divulge the secret of creation and immortality. Shiva now wanted a place on earth where he could secretly teach Goddess Parvati. Shiva chose the Amarnath Cave to reveal the secret. It is believed that he created the cave. On his way to the cave with Goddess Parvati, Shiva first abandoned Nandi Bull at Pahalgam. Shiva then abandoned moon and jata at Chandanwari. Shiva then released his snakes at Sheshnag Lake. At Mahaganesh Hill or Mahagunas Parvat he left his son Ganesha. Five elements - earth, water, air, fire, and sky – were abandoned at Panchtarni. Shiva and Goddess Parvati then entered the cave. He then told her the secret of creation and immortality. 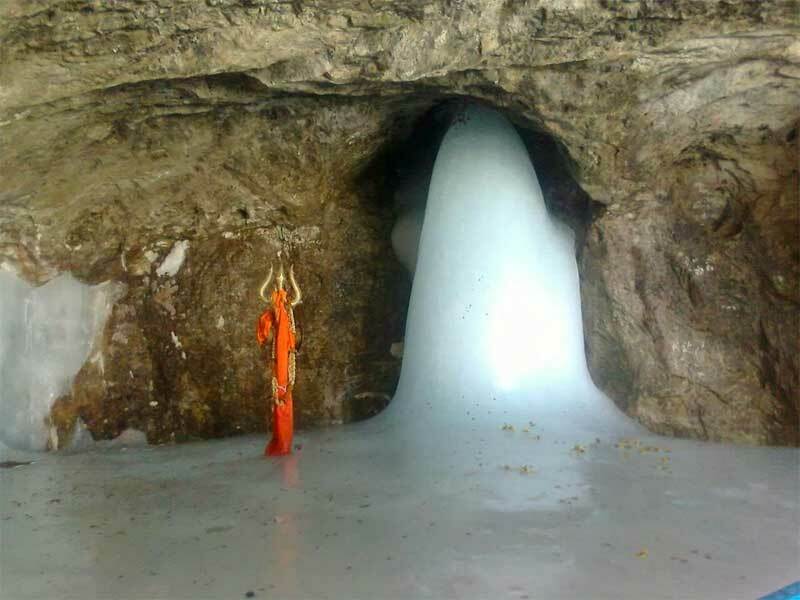 As Shiva told the secret here, the cave came to be known as Amarnath. Amar means immortality.